The sale of leasehold property through registration of General Power of Attorney and Sale Agreement has started in Delhi. Now the owners of such leasehold properties can sell/transfer their properties by getting the General Power of Attorney registered in the concerned Sub Registrar Office in Delhi. A Power of Attorney is an instrument that is used to give authority to somebody else to legally act on behalf of the principal. It can be of two types - General power of attorney (GPA) or Special power of attorney (GPA). 1. Stamp Duty equivalent to that payable on the registration of a sale deed needs to be paid in the case of registration of a General Power of Attorney and Sale Agreement in favour of a person other than one in blood relation. 2. General Power of Attorney in favour of those in blood relation can be registered by just paying a stamp duty of Rs.50/- and registration fee of Rs.1,100/-. 3. Both the parties and two witnesses alongwith Aadhaar Cards need to be present during the presentation of documents before the Sub - Registrar. We provide services for the Registration of General Power of Attorney (GPA) & Sale Agreement in Delhi. For registration of GPA, you may contact us at +91-8800418408. It is important to note that the Delhi Government had stopped the transfer of properties through General Power of Attorney, in view of the judgement given by the Hon'ble Supreme Court in the case of Suraj Lamp & Industries Pvt. Ltd. v. State of Haryana, AIR 2009 SC 3077. Consequently, the Revenue Department of Delhi issued a circular on 26th April, 2012 that instructed all the registrars and sub-registrars not to register any GPA, will or agreement to sell, through which any immoveable was being transferred . However, later on 5th May, 2013, the Delhi high court in the matter of Pace Developers and Promoters Pvt. Ltd. Vs. Govt. of NCT, struck down the controversial circular of the Delhi State government that restricted transfer of property through a general power of attorney. The judgement said that as long as the transaction is genuine, the same will have to be registered by the sub-registrar. Subsequently, the Revenue Department of Delhi Government issued a fresh circular on 22nd July, 2013 wherein it stated that transfer of property through general power of attorney and special power of attorney (SPA) by any registered property owner will be allowed in favour of their spouse, son, daughter, brother, sister or any other relative or person of his trust to manage his property or empowering him to execute any further deed of transfer including conveyance, sale and gift deed. It directed all the Sub Registrars in Delhi to once again allow the registration of such General Power of Attorneys. This has provided some relief to the general public as they can now transfer their leasehold properties of DDA, L&DO, MCD through registered GPA. 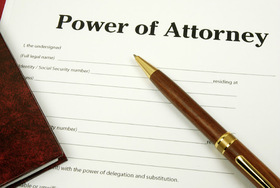 We provide services for the Registration of General Power of Attorney & Agreement to Sell in Delhi. For registration of GPA, you may call us at +91-8800418408.